Our 1400+ membership includes inside electrical wiremen, and employees working in cable television, electrical equipment servicing, government, radio-television broadcasting, and the telephone industry. Our Union Hall is located at 3000 Troy-Schenectady Road, Niskayuna, NY 12309. 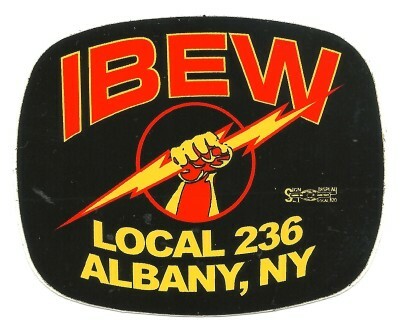 This is the official web site of IBEW Local 236. It is our intent to have this site serve as an informational tool for our Local 236 membership, for our International Brotherhood and for anyone interested in who we are. Upcoming events, special announcements, called meetings, meeting changes and whatever is relevant and important to the members will be posted and updated on a timely basis.